As part of the day job I get to read a lot of comments from customers - and have developed a keen eye for the natural comedians that brighten up my day when I come across their feedback. Looking into your telephone issue it isn't something that's affecting your area, so we're going to have to look a bit deeper. Could I ask if you've tried using a telephone? If you haven't is there anyway you could give that a whirl, I don't want to be wasting your time with a technician visit if it's not needed. Yo Ho Billy, I hoisted up a sail on the ARRRRRRRRR virgin media support forum, so I did, so I did. 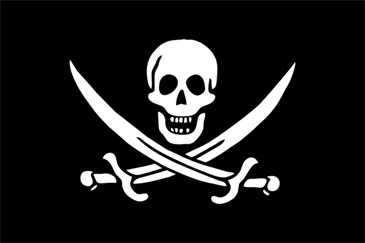 A buccaneer by the name of Ray has signaled a privateer to come aboard on the 6th day, heres hoping he fixes me magic talky box. Not only was the whole exchange very funny, Billy from the 'Tweam' and Ray from the forum team did a great job to resolve the problem and we have a happy customer! On that note, I'm off to Ticketmaster to buy a pair of tickets for Billy's standup debut.